I love truly unique pieces, especially when it come to fashion, and especially when it comes to jewelry. 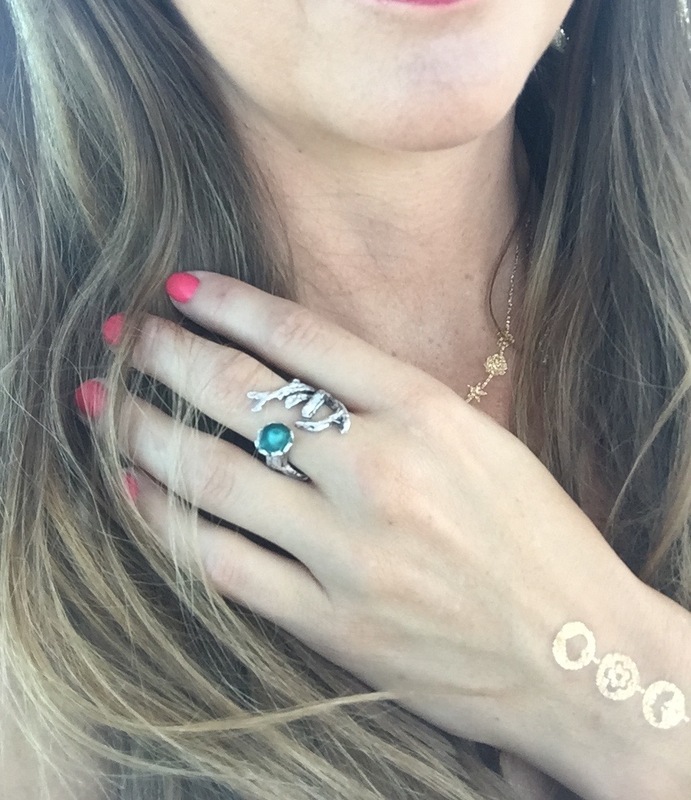 Jewelry is such a great and super easy way to add style to any outfit, sometimes only a piece or two can make such a statement in such a way that you simply don’t need any more than that! I’ve always believed in keeping it simple when it comes to my fashion, and when you can find just one fabulous piece, you really don’t need much else to have an amazing look! 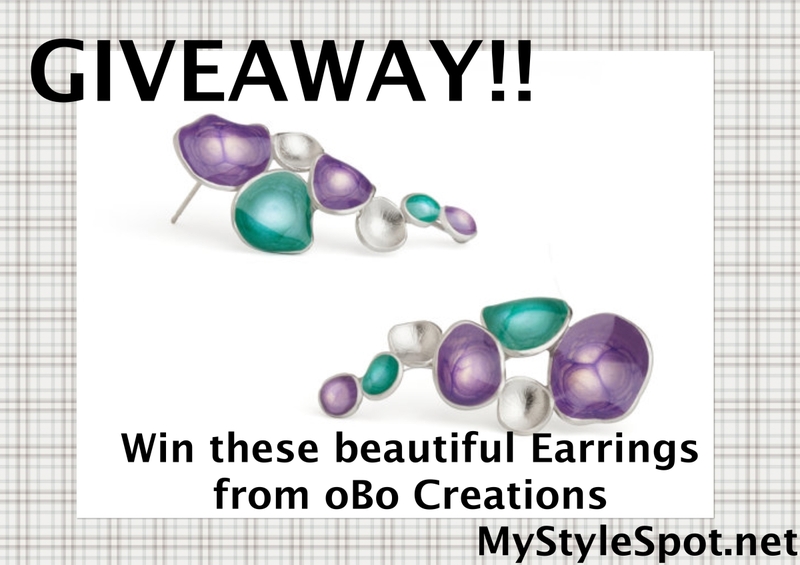 ENTER TO WIN some gorgeous Earrings at the bottom of this post! This last weekend, I spent the my days out at the lake trying out my fun new boat. When boating, and especially in the summer, I like to keep my outfits casual, super easily and effortlessly-styled. Right now, the minimalist trend is having a big moment, making it even easier to look like you just threw on that fabulous look without even trying! Keeping to this, I wore around some cut off jeans shorts and a cute white crochet top, over my bathing suit of course, since I was at the lake. While this outfit is uber casual and great for just spending some time outside in the sun, when I head out to the dock restaurant for dinner and drinks in the evening, I want to look a bit more polished, while still keeping the cool, casual, laid-back vibe of summer and the lake. 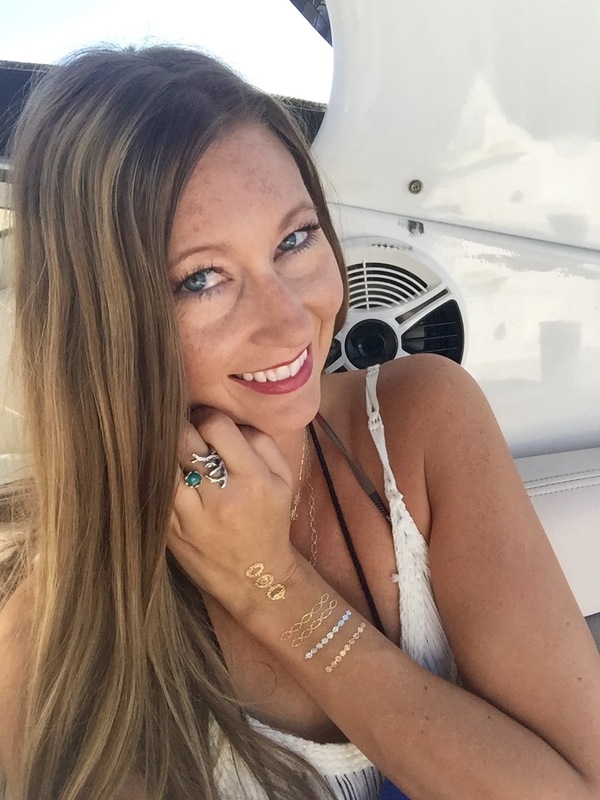 A fabulous and super easy way to do that is by adding a touch of glamorous jewelry! So I did just that, by putting on my gorgeous blue gemstone branch ring from oBo Creations (In the Etsy Store!). oBo Creations offers that truly unique piece (or pieces) that can really glam up an otherwise incredibly casual outfit within seconds! These pieces are hand-crafted, and although that’s not what you will pay for them, they look incredibly luxurious! I love the Etsy shop for jewelry but am incredibly picky about my pieces. I like my jewelry to be the statements of my outfit, so they’ve got to be amazing and not look like something I created myself. oBo Creations does just that. The exquisite rings, earrings, necklaces, bracelets, and pendants in this beautiful shop, look like something you would pay big bucks for at the department store. Each piece is handmade in Switzerland using the finest, high quality products. 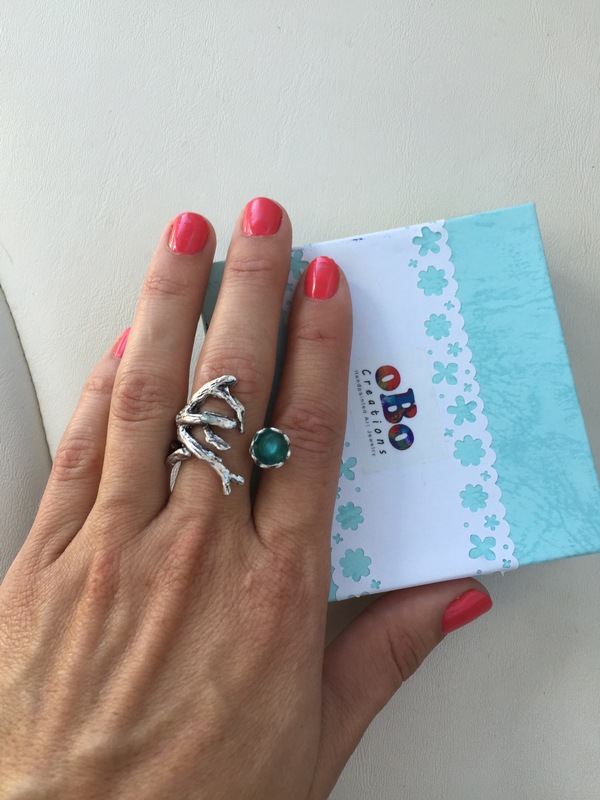 You’ll find TONS of 5 star reviews all over the oBo Creations Etsy shop from super satisfied customers who have fallen in love with their oBo Jewelry as well, just like I did! When I got asked to review a piece of beautiful jewelry from this fabulous jewelry boutique, I had a really hard time choosing just one! They’re are so many great pieces to choose from, I wanted to buy up the whole store! I finally settled on a beautiful ring inspired by nature, but is still truly glamorous. 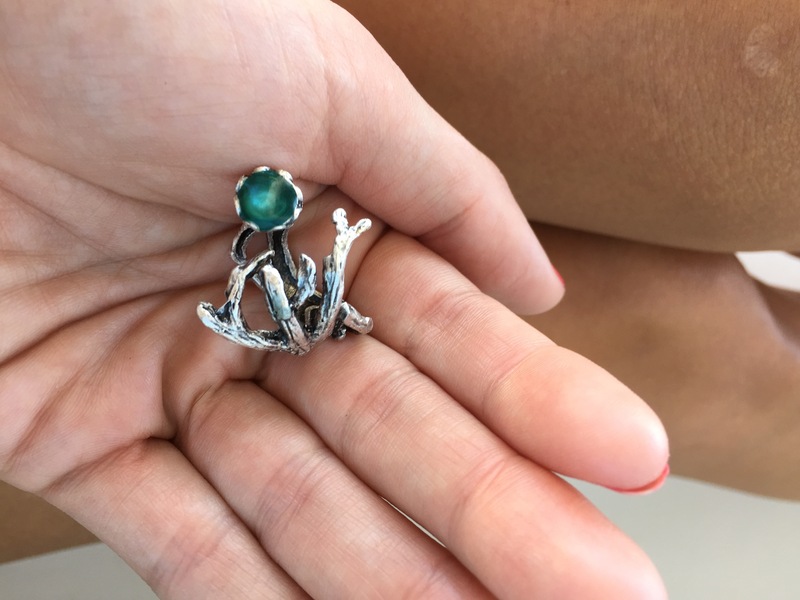 The Aqua Blue branch ring in silver is sure to make a statement all on it’s own. I love that since I was in nature this weekend, this was the perfect ring to show my love for it, while still showing my love for truly inspiring and beautiful fashion. The woodsy ring is made from brass plated in oxidized silver. I love the cool look this gives the ring, also giving it a cool casual vibe. And if you’re lazy about keeping your silver jewelry cleaned, this is a great ring that doesn’t require the normal maintenance of keeping those silver pieces shiny. The ring also has a little stretch to it too, so you can adjust it to give you the perfect fit! 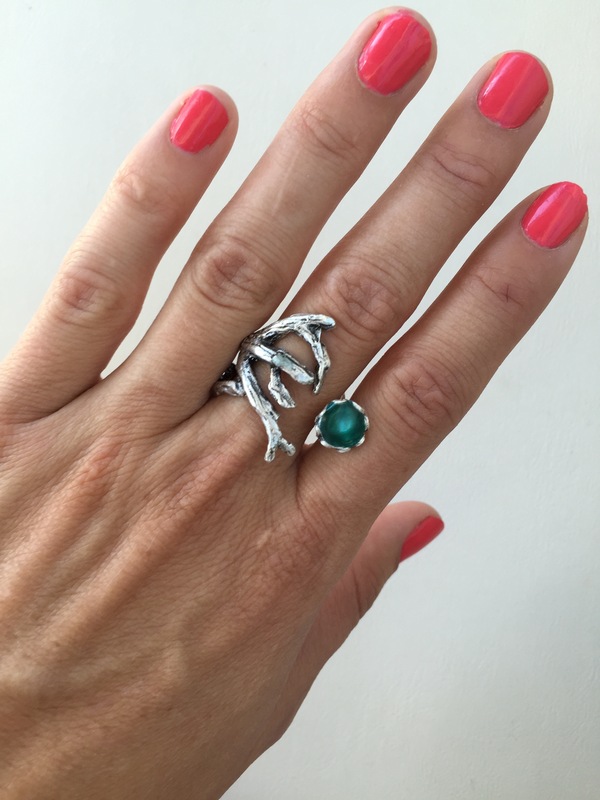 Nestled in the beautiful silver branches of this ring, you will find a pretty gemstone-looking embellishment (available in lots of different colors) made from a special paint that creates patterns, texture, and color you often find in the look of super expensive gemstones. My lovely Branch ring arrived very quickly, especially for having shipped from Switzerland, and in beautiful packaging, keeping the ring safe and from getting damaged in shipment. Mine came in this cute blue box making it perfect for storing. It’s also easy to shop for chic pieces for your fashion lovers and gift to them, since you get nice packaging with each piece of jewelry from oBo. I’ve worn this ring around like crazy since I got it, it is such a truly beautiful piece. It really plays up my style and really draws attention to a pretty manicure as well. It goes great with everything too! This piece would even look incredibly amazing with your little black dress on a big night out! It’s the perfect piece of jewelry to add something fun, eye-catching, and playful to any look! What a great ring, right?! I got a TON of compliments on it this weekend, and I couldn’t stop staring at it myself! It’s uber comfortable and lightweight too, so you don’t even notice it’s there. I tend to throw off jewelry as soon as I walk in the door because it can oftentimes be uncomfortable or get in the way, or just be plain annoying. This ring is anything but! It’s incredibly easy to wear, and thanks to its adjustable fit, I get a super comfortable ring that I had forgotten is even there! That is, until I look down at it, it and it hits me once again what a beautiful piece of jewelry I’m wearing! 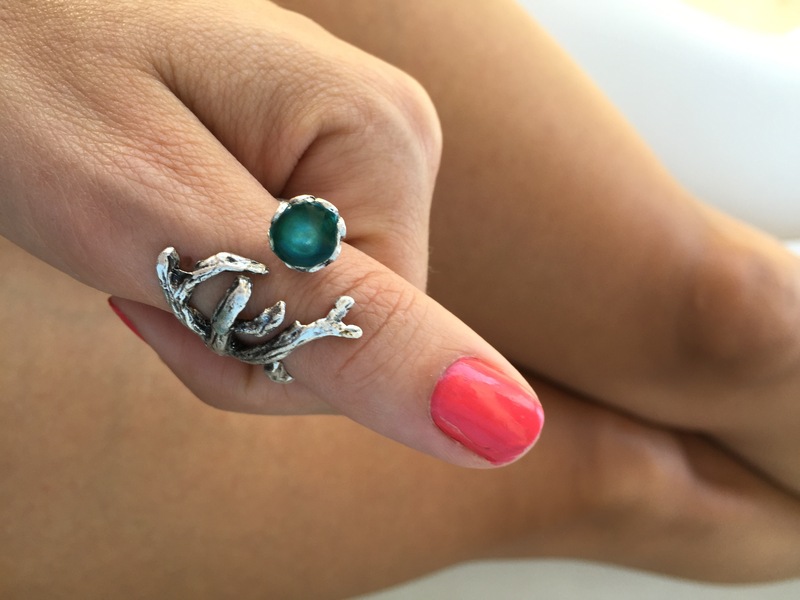 If you would like to pick up this gorgeous branch ring for yourself or check out some of the other fabulous jewelry from oBo Creations, then be sure to check out her store on Etsy, at Etsy.com/obocreations. Also, the lovely and generous Olga of oBo Creations, is letting me GIVEAWAY one of her beautiful pieces to one of my fabulous readers! **I was given this product for the purpose of review. However, all thoughts and opinions expressed in this post are solely my own. I only share reviews with my readers, I feel will be beneficial or informative in some way. Purple heart earrings for my lovely wife. really nice products very stunning. Love that ring! I also like the pink and aqua blue jewelry,statement ring. I would purchase the aqua blue ring golden branch ring gold!! So pretty!! Loving the Enamel pendant purple Statement Necklace Blue gold pendant, Long Purple Pendant blue enamel Necklace lavender Gold necklace enamel jewelry. It’s GORGEOUS! My favorite item is the Bar Necklace : Blue bar necklace simple pendant necklace minimalist jewelry. I like the Green statement ring among others. The one you have on is great too! 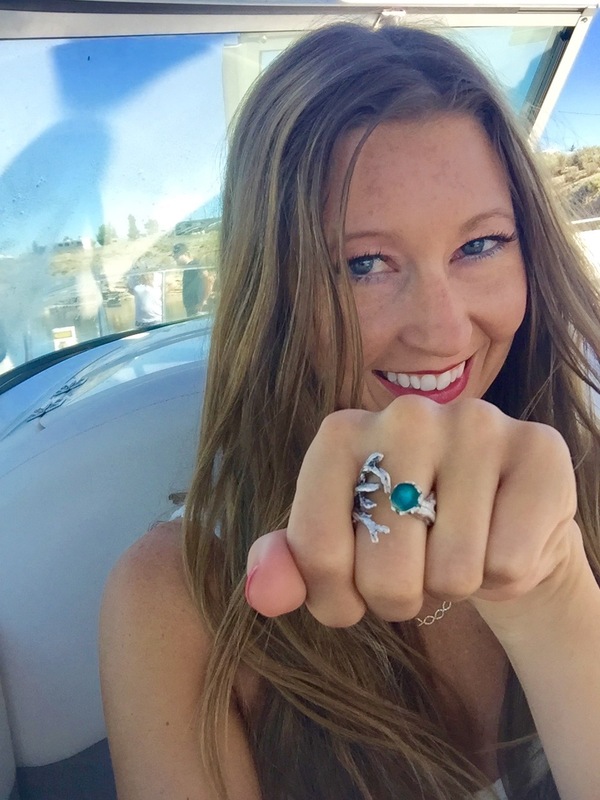 i would purchase the Blue chunky nautical ring! I’d love the Blue bar necklace! I would purchase the Electric blue floral necklace. I like the turquoise heart earrings! I love the purple silver studs purple post earrings for women minimalist jewelry enamel posts everyday jewelry statement. I like the Lavender purple necklace silver drop pendant . Love the nature inspired necklace! I like the Blue Twig ring silver, gorgeous! Loving the Enamel pendant purple Statement Necklace Blue gold pendant, Long Purple Pendant blue enamel Necklace lavender Gold necklace enamel jewelry. I really love the Green Flower Necklace. I like the Blue and red ring, enamel jewelry, statement ring, geometric jewelry, colorful ring, blue statement jewelry, silver red ring. This shop has so many beautiful items. I love the red dangle earrings. I loved the Purple and green round pendant, lavender necklace. Its so nice. I like the Enamel pendant purple Statement Necklace Blue gold pendant, Long Purple Pendant blue enamel Necklace lavender Gold necklace enamel jewelry. I love the green flower necklace so that would be it for me! The Blue gold ring is beautiful, and I would love to own it. I love the ring! It is so unique and lovely! I would love the Dark Blue Chunky Ring! I love the Purple Gold Studs! They are so simple, but also very unique! I love these!! !